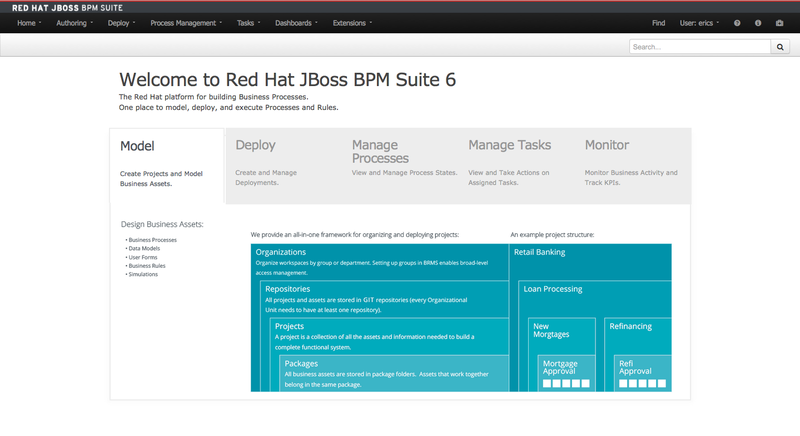 The official release of JBoss BRMS and JBoss BPM Suite 6.1 has brought to you an array of interesting and new functionality. You can find the products on the Customer Portal for downloading and using today. Before you get started with all of the content and assets that we have available right from the launch, we wanted to provide an overview. This article will cover some of the features to be launched in this new version and detail the various demo content that is ready for you to start exploring with the new products. First off, a few of the interesting items that might catch your attention outside of the various visual usability features are presented here. 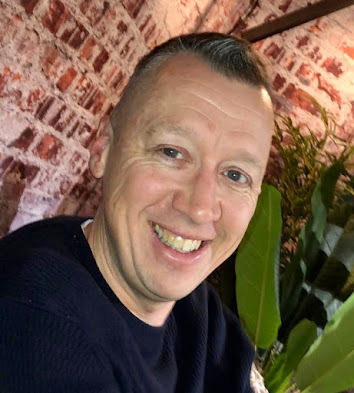 Support for Red Hat JBoss EAP 6.4.
a standalone, out-of-the-box component that can be used to instantiate and execute rules via interfaces available for REST, JMS or a Java client side application. Created as a web deployable WAR file, this engine can be deployed on any supported web container. Business Central can now be configured to add new screens, menus, editors, splash screens and perspectives by the Administrator. These elements can extend the functionality of Business Central. limited support is also provided for branding of Business Central, including logos, colors and backgrounds. additional functionality such as the ability to embed your designed forms into external applications. create your own strategy to handle uploaded documents attached to a form. 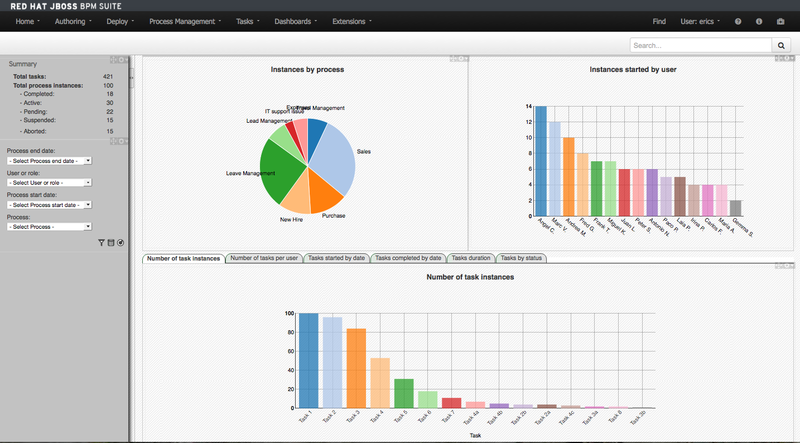 a lightweight planning engine, is included with this release and is fully supported. some social feeds for keeping up with user activities across the organization, watch as users build up history and activities in information streams. JDK: Oracle Java 8 and OpenJDK 8. Browsers: Firefox 31 and Internet Explorer 10. Servers: Oracle WebLogic 12c and Red Hat JBoss Fuse 6.1 (Engine only). Databases: Oracle 12c, PostgreSQL 9.2 Enterprise and DB2 10.5.
a new editor has been added to support modeling of simple decision trees. a new feature that allows you to create repository structures, including branches, for maintenance, versioning and distribution of your projects Assets can be moved between different branches and repositories can be managed or unmanaged. Outside of the new and shiny features that are available, we have some exiting content to let you explore the new products without having to build a project yourself. The following demo projects can all be found in JBoss Demo Central, but are listed here for you to explore directly. 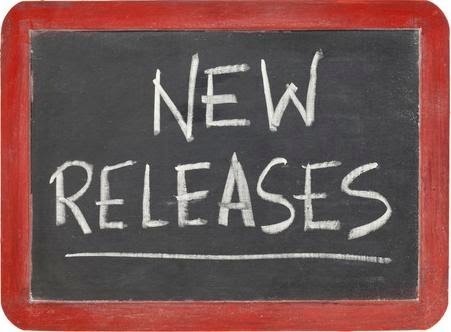 Note that this new product release uses an installer that no longer includes JBoss EAP, so you will need the JBoss EAP 6.1 installer and the JBoss BRMS or JBoss BPM Suite installers. an clean installation with some basic user configuration to get you started. JBoss Travel Agency RestAPI example application. a travel industry example of using domain model, rules, guided rules, decision table and external spreadsheet to calculate lost baggage shipping fees. 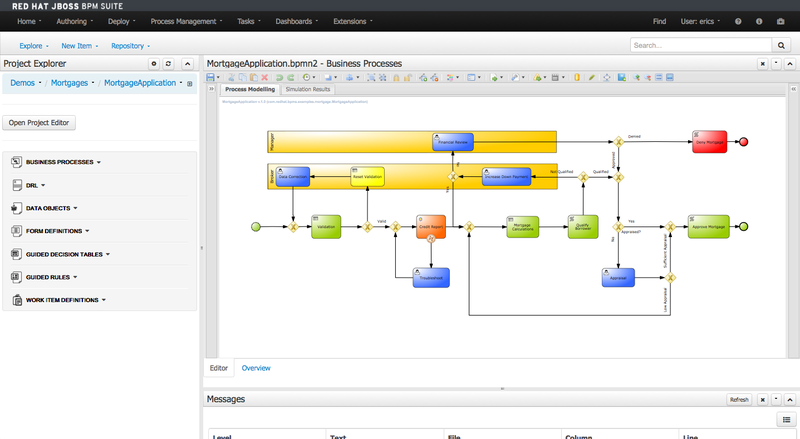 the showcase financial example demo project with rules, guided rules, tasks, decision table, exception handling, web service integration and domain model. 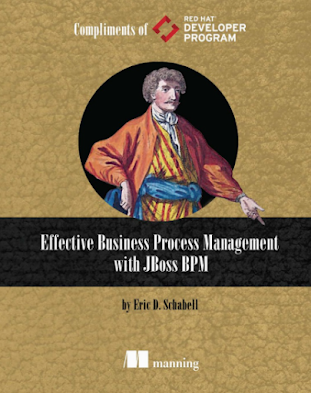 a human resource employee rewards process to showcase domain model, user tasks and a few more advanced BPM features which you can build from scratch in the online JBoss BPM Site workshop. a straight through process (STP) highlighting domain model and rules used to validate a customer for potential sales activities. a financial basic loan demo with rules, guided rules, tasks, model and a signal. a telco mobile service activation process with document management for user to sign a service agreement and upload the form. a retail based demo project showcasing rules, guided rules, domain model, decision table, events and a ruleflow which you can build from scratch in the online JBoss BRMS workshop. 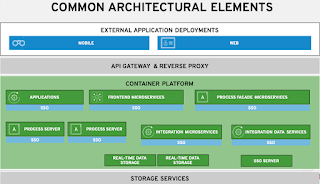 Do note that the various demo projects have the option to build a containerized version with docker, these will be updated to the new products over the coming days. Moving forward there will be more demo project updated and included that are currently in progress to showcase some of the new features listed above.